This 2 bed 1 bath top floor apartment is available for holiday lets in the centrally located Lomos del Mar complex in Vera Playa. The fully fitted kitchen has all appliances, The master bedroom has fitted wardrobes and sliding doors leading onto the balcony, the twin bedroom has two single beds. The lounge has satellite television, sofa bed and a dining area - there are sliding doors leading onto the balcony. The apartment has hot and cold airconditioning. On the complex there is a Padel Tennis Court, childrens play area and two pool areas, it is a fenced and gated complex. 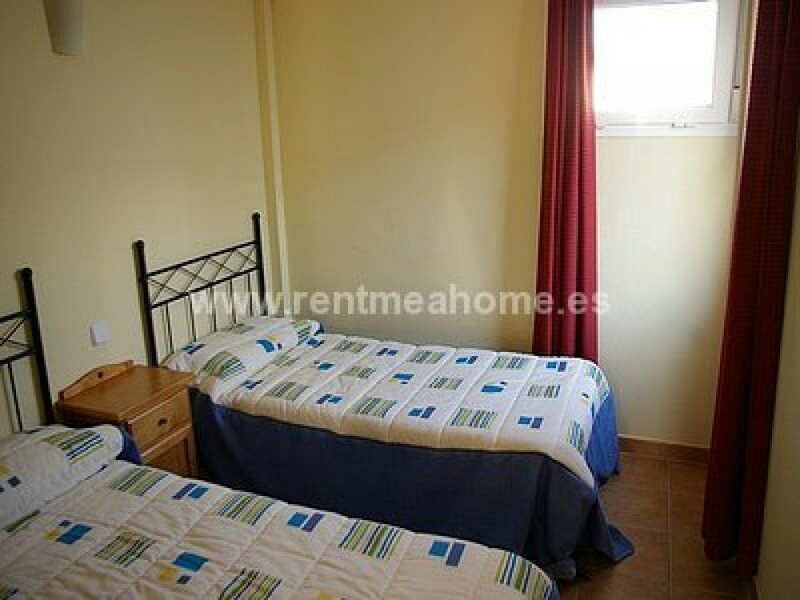 The beach is just a few minutes drive away, it is also very close to Mojacar and Garrucha.